At one time, people only dressed up as a well known character for fancy dress parties. Today however, dressing up as your favourite hero or heroine is big news. Cosplay, as it’s now known, is hugely popular, with conventions taking place all over the world and costumes becoming increasingly authentic and stunning. Check out Cosplay in the Oxford Dictionary and you’ll see it’s the practice of dressing up as a character from a film, book, or video game, especially one from the Japanese genres of manga or anime. 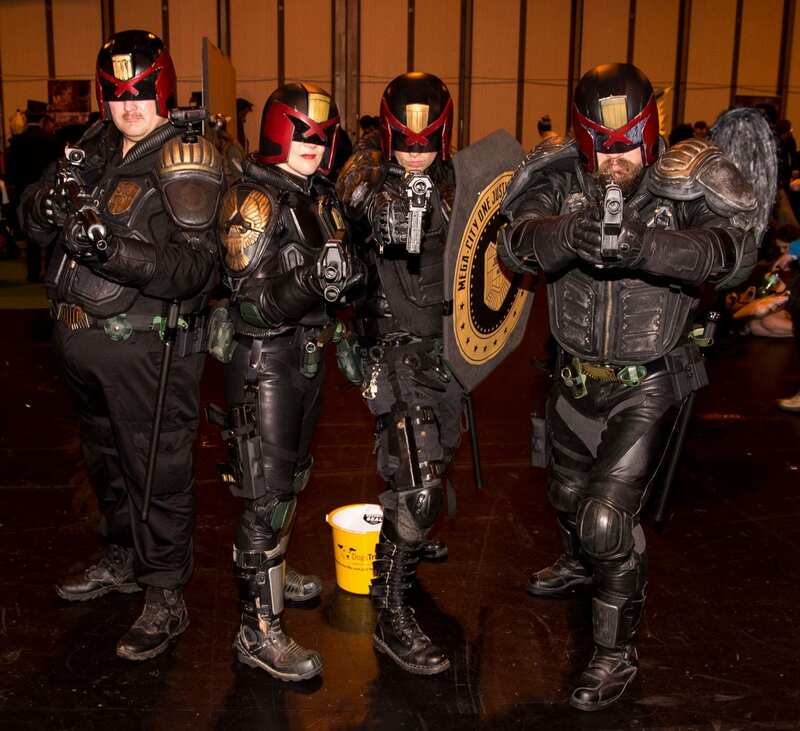 At the MCM Comic Con exhibition at the Birmingham NEC recently, thousands of young people arrived dressed in the full regalia of fantasy characters from other worlds, and the lengths many of them went to in making their costumes just had to be admired. 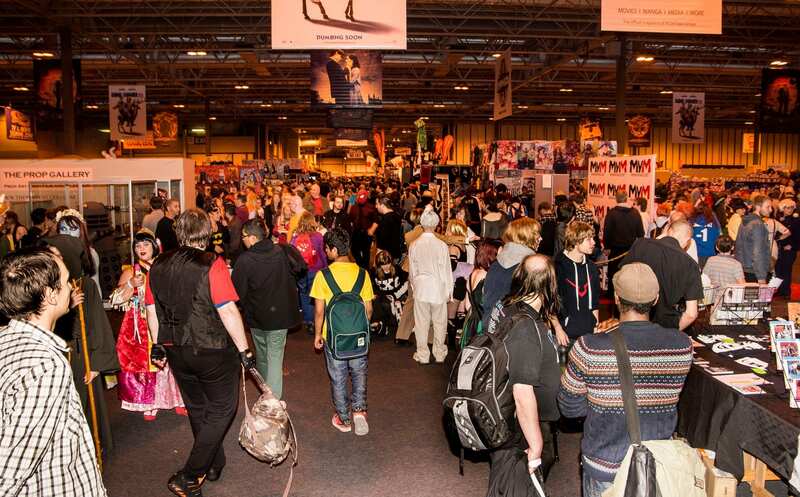 The Comic Con event incorporating Memorabilia, was brimming with stalls selling Japanese manga and anime items such as fantasy weapons, costumes, wigs, T-shirts, toys, books, graphic novels, comics and all kinds of other goodies. Not so long ago, the Memorabilia shows were geared for the older generation selling collectables that ranged mainly from pre-war times to the 1960s and 1970s. 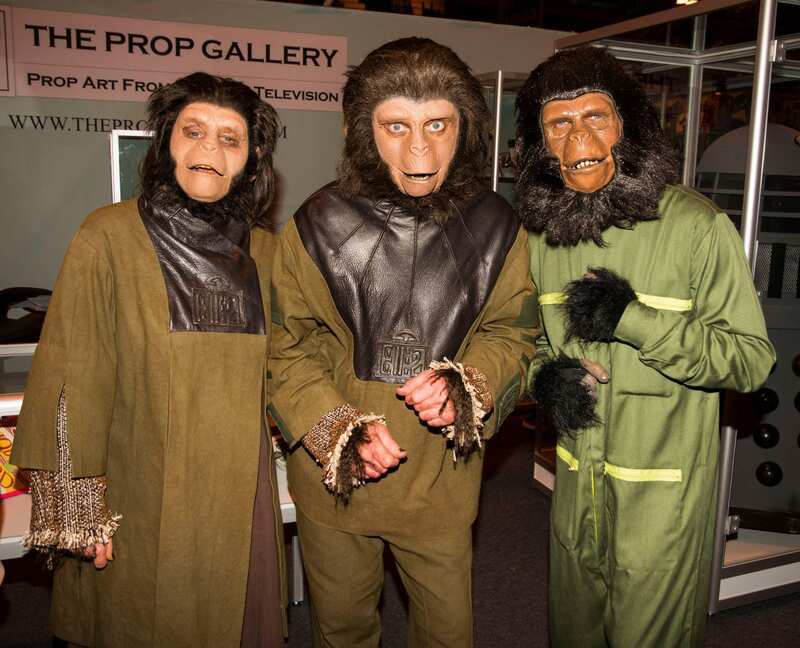 Now it seems the hugely popular Comic Con shows are moulding the collectors of the future. One of the highlights of the two-day event was the Cosplay Masquerade which had young people displaying their amazing handmade costumes, posing for the audience, and putting on short skits and performances that tied in with the characters they were portraying. But even if (like my photographer and I) you don’t go dressed up, it’s such fun seeing all the costumes – even if you haven’t a clue as to who the character is! Stop and ask any of them and you’ll get the low-down on their role in the video game or programme the character stars in. 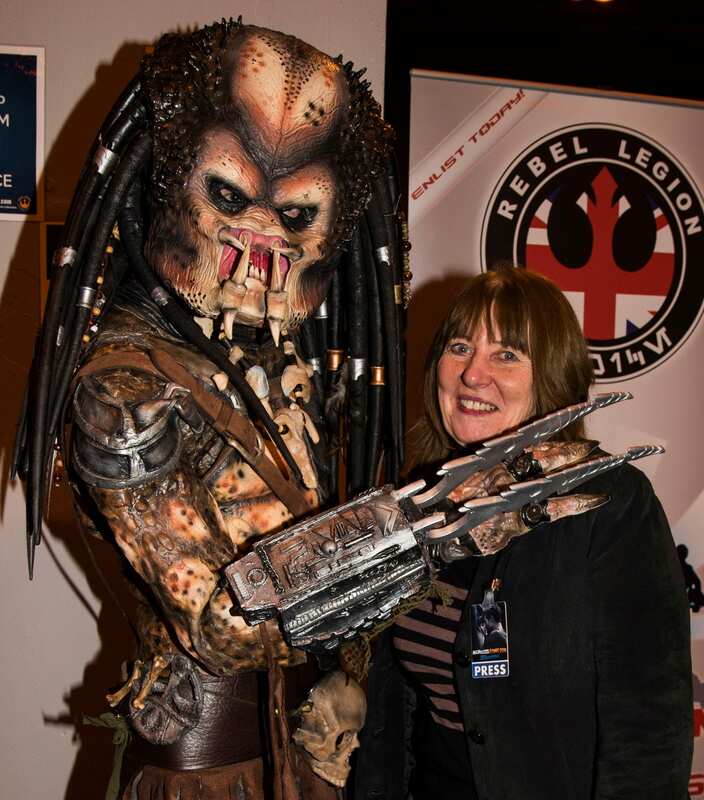 There were however, lots of characters that we did recognise such as those from Alice in Wonderland, Planet of the Apes, Predator (who I had to battle free from… see the photo!) and Judge Dredd. 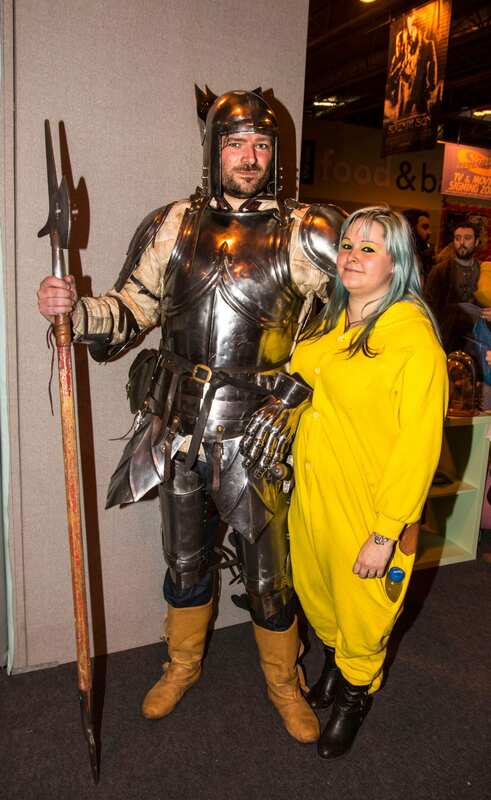 Not all the cosplayers were fantasy and sci fi however, some were based on historic events and were very authentic, such as the suit of armour that Mark Thompson of Burton was wearing. Standing at over six feet tall, Mark looked a formidable figure in his 15th century battle attire. Mark told me that he is a member of the War of the Roses re-enactment group, regularly going into battle, fighting hand to hand with swords and maces. “The armour is made from 14 gauge carbon rolled steel and weighs seven and a half stone,” he explained, sweating slightly under the weight. His fiancée, Elizabeth Bull is also a member of the re-enactment group, and said that the battles are so realistic that it’s not unusual to sustain injuries during the fight. Deciding not to wear her medieval clothing on this occasion she took on a much gentler role as Pikachu from Pokemon. Not everyone was dressed up of course, and lots of youngsters were taking the opportunity to play the latest video games set up for them, or browsing the stalls and admiring some of the amazing work of indie and manga artists; or meeting stars from their favourite films. 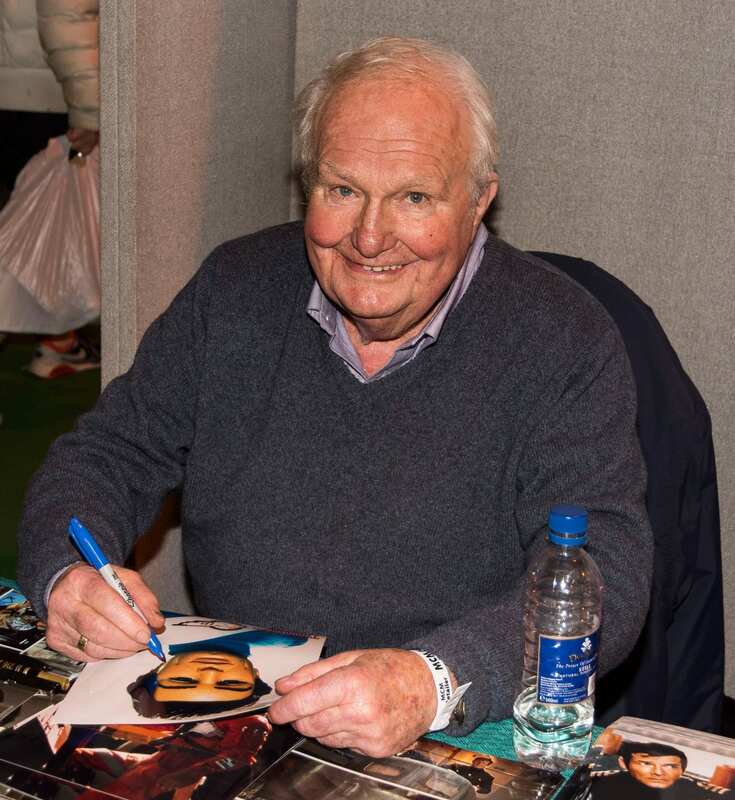 Amongst the line up of celebrities, there were famous faces from all eras including legendary actor of film and TV, Shane Rimmer whose amazing career runs non stop from the 1950s up to the present day. He has featured in numerous TV series and dramas, and more than 50 films including Dr Strangelove, Star Wars, Superman, Ghandi. Out of Africa and three James Bond movies to name but a few, yet he is probably best known for being the voice of Scott Tracy in Thunderbirds. 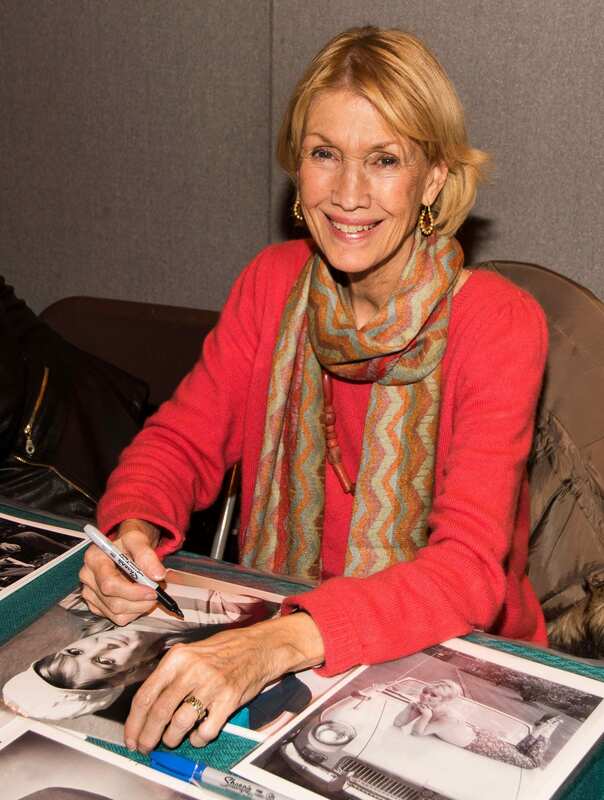 The quality of that voice has stood him in good stead, as he is currently playing a cameo role in Firestorm, a new sci-fi series being produced by the son of Gerry Anderson – Jamie Anderson. And continuing in dad’s footsteps Jamie will be utilising puppetry, miniatures and practical effects – no c.g.i. A different Shane was also at Comic Con, Shane Richie who plays Alphie Moon in Eastenders. He and co-star Jessie Wallace – Kat Slater in the TV series, were drawing the crowds, as they signed autographs for their fans. Notching up a few memories of their own were the thousands of people – young and not-so-young who enjoyed the show. For news of the next one, visit the website.